You will be met and transferred to your hotel. Then your time is free to begin exploring. Tonight, gather for dinner with a folklore performance in a local restaurant. 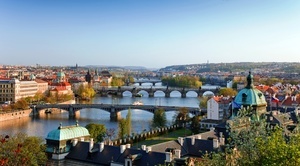 Cross the Vltava River to see the Royal Castle of Hradcany and visit the Cathedral of St. Vitus, the Old Royal Palace, St. George’s Basilica and the Golden Lane with the Daliborka Tower. The balance of the day is at leisure. Tonight, enjoy an opera performance. This morning, tour the old part of the city to view the Old Town Square, the famous Astronomical Clock, the Jewish Quarter, St. Nicholas Church, Charles Bridge and more. Your afternoon and evening are at leisure. Travel by motor coach to Vienna, the “City of Waltz.” Your time is free to start discovering the city’s delights, from shopping to architecture to pastries. Later, enjoy dinner in typical heurigen, or wine tavern, in Grinzig, just outside of Vienna. 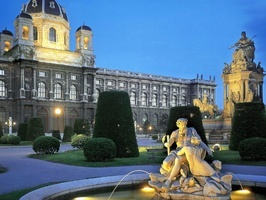 On a morning sightseeing tour, visit the Hofburg Palace, once the seat of the Austro-Hungarian Empire. 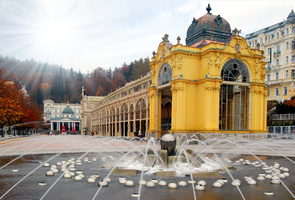 Then view the Belvedere Palace, Prater Amusement Park, the UN Buildings,St. Stephen’s Cathedral and other reminders of the city’s imperial history. After a free afternoon, enjoy an evening concert of Strauss’ and Mozart’s music. 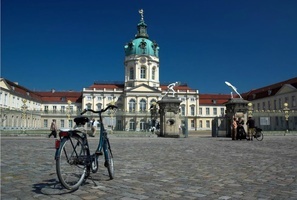 Make a guided visit to the Kunsthistorische Museum this morning. The museum houses outstanding collections of art, sculpture, coins, armor, musical instruments, and more. The balance of the day is free to enjoy Vienna at your own pace. Today, journey by motor coach or first class train to Budapest. The afternoon is free to explore the “Paris of the East”, shop along the Vaci Utca, nibble a delicious slice of apple strudel, sip an excellent Hungarian wine, or perhaps join one of the optional excursions available. Situated on the opposite banks of the Danube River, the former cities of Buda and Pest are linked by a series of graceful bridges. 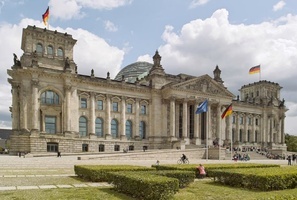 Your morning sightseeing tour includes views of the decorative Parliament building, seat of the National Assembly; Vaci Utca, a pedestrian street lined with shops and restaurants; Heroes’ Square with the Millennium Column, a 118-foot-high Corinthian column topped with a statue of the archangel Gabriel, and the Tomb of the Unknown Soldier. The balance of the day is at your leisure. Sightseeing this morning focuses on the Castle Hill area. You’ll visit the 13th-century Matthias Church and the Fisherman’s Bastion, then see the Royal Palace. Your afternoon is free to do some last-minute shopping, explore more of the city or just relax. Tonight, enjoy dinner with entertainment in a typical Csarda restaurant.